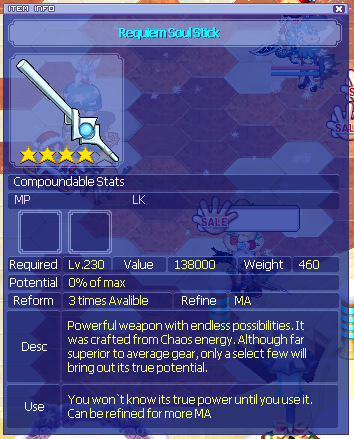 "a POWERFUL WEAPON with ENDLESS POSSIBLITIES!" "FAR SUPERIOR to average gear!" "only a select few will bring out its TRUE POTENTIAL!" Back in Fantasia, my friends and I made a hobby of collecting statless drops. At least you got 2 comp slots there. There are drops that are both statless and have no comp slots. This game has a weird sense of humour.